I do not eat left overs. They are not fresh. Food is at its peak right off the stove. I paint in like manner. I get bored easily. 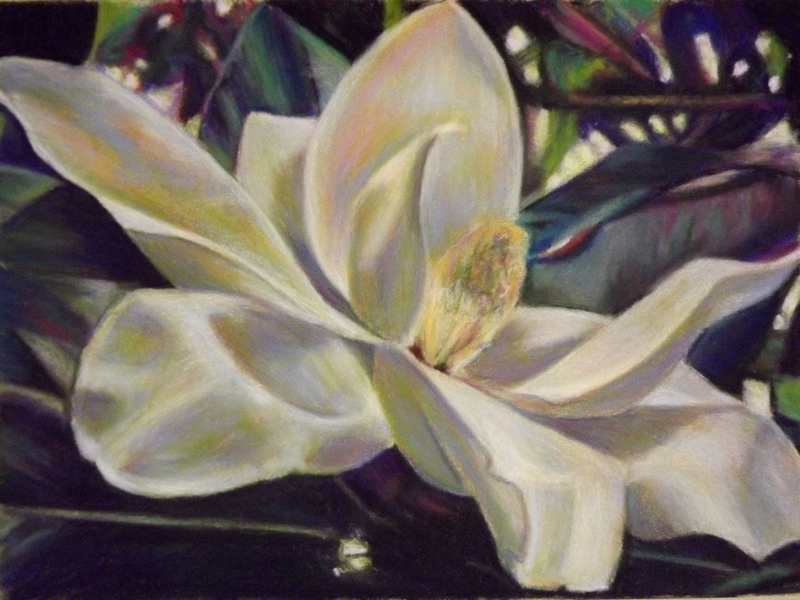 My study of magnolias is not boring though. The more I study them, the more I am getting to know them. I plan on painting the flowers in all stages, all seasons, all styles, all colors, all textures and all angles. This one is slightly turned, like a profile of a person. There are more to come. We will test my creativity and ability to probe a subject. Enjoy.